The campaign for the Cecil County Council seat from District 2 has been a polite, so far, contest between the two actual candidates: incumbent Joyce Bowlsbey, a Republican, and challenger John Ulrich, a Democrat. But as both candidates boost their fundraising efforts, shots have been fired from the sidelines by others who lost their own unrelated campaigns in the June primaries. Bowlsbey held a fundraiser last weekend, billed as a ‘BBQ and Bull’ event, in a barn at the Scheeler family farm in Cecilton that featured a mechanical bull ride. Bowlsbey, wearing cowboy boots, successfully completed a brief stint on the motorized beast but other riders—such as County Councilor Alan McCarthy (R-1)— flew off into the airbags within seconds. 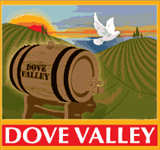 Ulrich is holding a fundraiser on Friday evening 8/12/14 at the Dove Valley winery in Rising Sun, featuring BBQ, music, and a wine tasting. Bowlsbey won the GOP primary with 52.7 percent of the vote over Chris Zeauskas, a member of the county’s Republican Central Committee who did manage to hold on to his committee seat despite losing his Council bid. Zeauskas aligned with the “Campaign for Liberty” ultra-conservative group that ran multiple unsuccessful candidates for the central committee and other Council seats. Ulrich was unopposed in the Democratic primary and was the top vote-getter for the four Democratic Central Committee seats assigned to male candidates. He is chairman of the committee and a longtime activist in local Democratic politics. Since she had a contested primary, Bowlsbey raised considerable campaign funds for that race but is still well-positioned for the fall general election campaign since most of her printing, yard sign and related costs are behind her. Her most recent campaign finance report filed with the state Board of Elections 8/23/14 listed cash on hand of $1,382, after expenses of $6,001 for advertising, billboards and the usual campaign costs. Her latest fundraiser proceeds will show up on the next finance report. In the four campaign finance reports she’s filed in the 2014 campaign season, contributions and fundraiser ticket purchases of $1,970 were listed in the most recent report; $1,965 for the second pre-primary report; $4,432 for the first pre-primary report; and $10,010 on the initial January report—for a total tally of $18,377 raised for the Bowlsbey campaign. She also loaned her campaign $1,000 at the start of her candidacy. Ulrich’s fundraising total so far for the campaign tallies $4,640, and he can focus all his funds and attention on the general election since he had no challenger in his party primary. His donations came from many recognizable Democrats around the county, with Garrett Billmire, who heads the local Democrat Club and is a member of the party’s central committee, providing $500 along with several small donations from his wife. Bowlsbey’s donors in her long campaign include well-known Republicans around the county, as well as some Democrats, along with Political Action Committees (PACs) and political clubs. Her reports list a $750 donation on 5/29/14 from the Maryland RPAC (realtors) and a $300 donation on 6/3/14 from the Cecil County Republican Club, while Johnston’s Cut-Rate Liquors provided $500 and Stephen Pannill, president of Cecil College, donated $100, according to the campaign’s August report. In the primary campaign, Bowlsbey had two billboards on Route 40, according to her campaign treasurer, Carolyn Kappra. And another billboard on Route 213 has been added for the general election. All of the billboards are being paid for by the campaign out of its donated funds, she added. An apparent error in the reporting of one allocation for a billboard expense payment to the owner of the billboards, Apple Outdoor of York, PA, will be corrected, Kappra said. On the second pre-primary report filed 6/8/14, the campaign listed an “in kind interest contribution” of $1,100, with a balance of zero for the outstanding balance on the expense obligation. And elsewhere on the same report, the campaign reported paying the same $1,100 amount as an expense for its billboard ads. The “in kind interest contribution” line on the elections report form is designed to report interest payments that have been forgiven on a loan by a donor. But there was no interest expense or donation on the billboard expense item. In addition, the most recent Bowlsbey report lists another payment from campaign funds of $1,950, on 8/15/14, to Apple Outdoor for billboard advertising. “All our billboard ads were paid for by the campaign,” Kappra said. Meanwhile, Bowlsbey and Ulrich have focused their campaigns on their own individual qualifications and vision for Cecil County’s future. The candidates emphasize their own business and volunteer experiences working in and for the county. Bowlsbey cites her business experience as a career executive with Gore, as well as her membership on multiple volunteer boards and civic groups, including her work heading a group that drafted the Charter government overhaul of Cecil County’s governance that was overwhelmingly approved by voters in 2010. Her campaign platform, with the motto “The Best Choice for County Council,” emphasizes “job creation, education, and quality of life” in the county. Ulrich, a professional real estate appraiser with strong ties to the local business community, is using the campaign motto “fighting for families” and states his platform places top priority on fighting substance abuse in the county, “stability of funding for government services,” and support for education and vocational education in the county. While the candidates themselves are running a substantive, polite and issue-oriented campaign, some bystanders have been slinging some mud—especially aimed at Bowlsbey. The ‘Campaign for Liberty’ ultra-conservative group that lost all of the Council races in which it fielded candidates in the June Republican primary has targeted Bowlsbey both in the primary and the general election. Some of the recent attacks have been ironic, as well as factually inaccurate. The Liberty group operates a PAC and recently attempted to attack Bowlsbey for ads and online comments by another PAC that supported her candidacy. But, by definition, PACs and their ads and commentary are independent of an individual political candidate’s campaign. So it was surprising to many local residents that a former unsuccessful candidate for Sheriff in the recent GOP primary campaign—Chris Sutton– shared the Liberty group’s attacks on Bowlsbey with his own personal critical commentary on Facebook. The Liberty PAC and its local and state ‘Campaign for Liberty’ organizations are led by Cecil and Harford county residents who have repeatedly run for political office, and lost at the polls, while using attacks on fellow Republicans to fund-raise for their own organizations and personal businesses that get consulting fees from the Liberty PAC.